If baseball is a game of inches, then track and field is a game of centimeters. 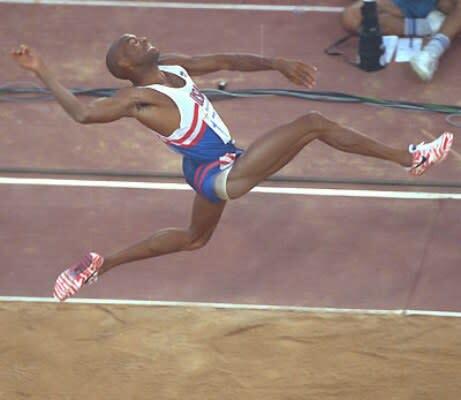 During the 1991 World Championships in Athletics, Mike Powell broke the long jump world record held by Bob Beamon for nearly 23 years by a mere 5 centimeters. Powell's 8.95 meter (29 feet, 4½ inches) jump is still standing to this day.